Patrica Zimmermann, professor of cinema, photography and media arts and codirector of the Finger Lakes Environmental Film Festival, presented a workshop entitled "The Ethics and Open Spaces of Human Rights Social Media: Towards Provisional Ethical Working Principles and Dialogues" at the 18th Annual Visible Evidence Conference on Documentary at New York University on August 11, 2011. Sam Gregory, program director WITNESS, an international NGO working on human rights and user generated media, was the co-presenter and collaborator. The workshop is part of a long- term colllaborative research project between Zimmermann and Gregory to establish working principles on human rights and social media. The Visible Evidence Conferences are the annual international gatherings of scholars, makers and activists to probe documentary theory and practice across a myriads of forms. Patricia Zimmermann, professor of cinema, photography and media arts and codirector of the Finger Lakes Environmental Film Festival, delivered an invited lecture entitled "Towards a Theory of Open Space Documentary 2.0" at York University in Toronto, Canada on May 16, 2011. Zimmermann's lecture elaborated a theory of open space documentary operating across platforms in a web 2.0 environment, where projects are designed for collaboration, participation, contingency, and adaptability. Her lecture analyzed a range of international documentary Web 2.0 and new media projects emerging from South Africa, China, Colombia, Indonesia and the United States that had been curated for the Finger Lakes Environmental Film Festival. 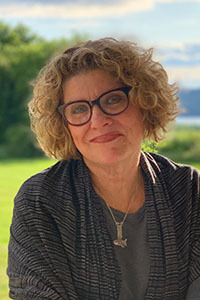 Patricia Zimmermann, professor of cinema, photography, and media arts, presented the plenary at Visible Evidence XV, the international and interdisciplinary scholarly conference on documentary studies. The conference was held at the University of Lincoln in England.